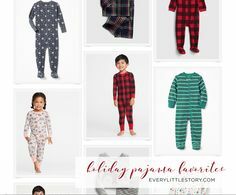 Rewarding Moments with Carter’s and OshKosh! Well I’m a KEEP sister, so KEEP is my fav accessory. 😉 Not counting KEEP I’d have to say my new Caseology phone case. Finally something that truly protects and correctly fits my phone! Oh and it’s navy – one of my favorite colors! I also have a new found love for rollerball perfumes… and those glasses! I have been searching for a pair and I LOVE this style! Currently, my favorite accessory is my Kate Spade phone clutch/wallet. It was a Christmas gift from my dad which also included a cute matching phone case! My girl is a toddler now so I’ve been keeping our things together, two bags = too many. 😛 It’s so easy for me to just toss it into a bag and go or wrap it around my wrist for a quick stop at the store. Thank you for the chance to win! My current favorite accessory is Burts Bees lip shimmer. It gives my lips color but protects against cold weather. I love those glasses on you! I am in need of a new pair and can’t wait to check out what Firmoo has to offer. They are so old, but my favorite accessory is still my black pyramid stud earrings (which I love with my black frame glasses)! Simple and uncomplicated! But you always have such cool eye wear! It’d be fun to have something to mix it up!!!! Keep stylin’ beautiful! My current favorite accessory is my purse charms! I rather like small and delicate bracelets! My favorite accessory right now is this great rose gold panda necklace. I bought a matching one for my cousin in CO and we both wear them non-stop. Has a winner been chosen? Yes! I had some things going on with my kids and hadn’t updated things yet!